Whether the statement actually came out of Hoard’s month is debatable, however it is close to the truth. 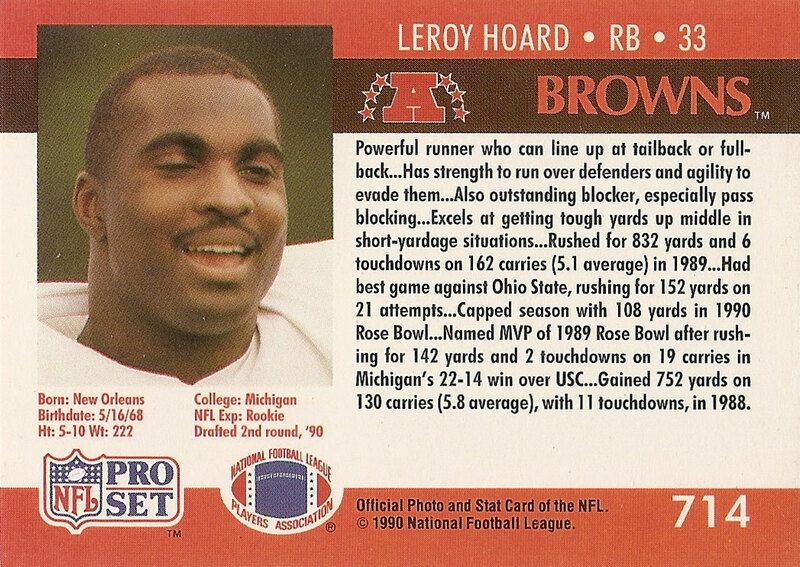 Hoard was drafted by the Cleveland Browns as a bruising tail back/full back in the second round of the 1990 NFL Draft out of Michigan. For most of his stay in Cleveland, Hoard has stuck behind Kevin Mack, Eric Metcalf, Tommy Vardell and even Joe Morris. He specialized in short yard situations most notably on third down or near the goal line throughout his 10-year NFL career. However in 1994, Hoard became the Browns’ top option in the running game. That season he ran for 890 yards and five touchdowns, both were career highs for the New Orleans native. His high productivity that season helped the Browns earn a wildcard birth and a spot in the divisional round of the playoffs before falling to the Pittsburgh Steelers, 29-9. Hoard was rewarded for his efforts with a trip to the 1995 Pro Bowl. 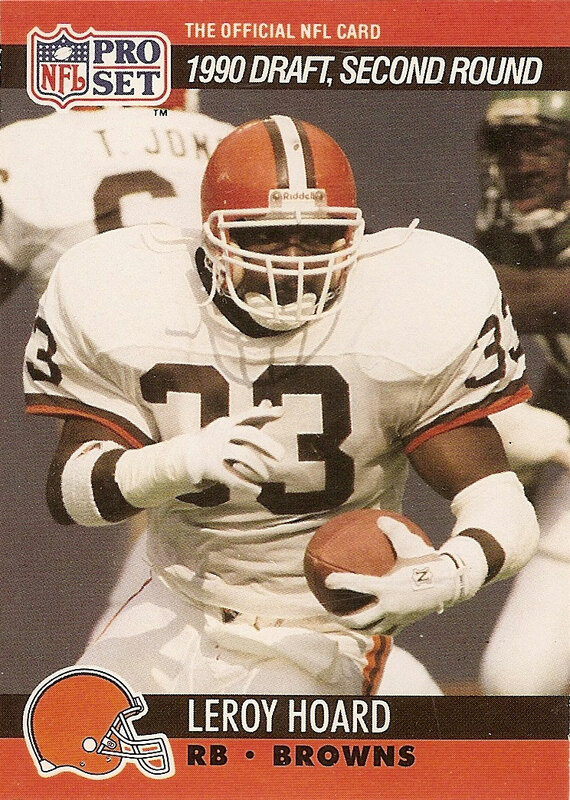 The next season Hoard, was again the Browns’ top rusher but he split time with Earnest Byner, who returned to Cleveland after five seasons with the Washington Redskins. The platoon effort caused Hoard’s numbers slip to 547 yards with no touchdowns before the Browns’ exited to Baltimore. Hoard did not stay with the Ravens for very long. After just two games and 61 yards on 15 attempts, he was on his way to the Carolina Panthers, where he lasted just three games after gaining 11 yards on five carries. He finally latched on with the Minnesota Vikings for the final six games of the 1996 season as Robert Smith’s lead blocker. Hoard remained in Minnesota until 1999 when he retired. Throughout his career he scored 36 career touchdowns, although 23 of them came during his final stop. He ended up with 3,964 yards on 1,008 carries. He scored 36 touchdowns on the ground and 15 through the air so that is a total of 51 which is a very solid career. His 9 TD catches in his second season was the most by any running back in the NFL. I agree. Solid career and did what he was asked.